Cheapest price I could find, John Lewis is £76, Amazon is £95! 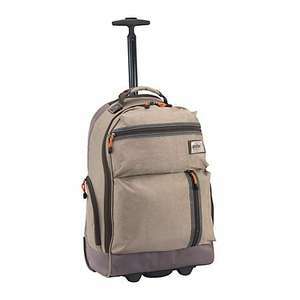 This trolley case features a helpful backpack strap option, making this a versatile luggage choice from Antler. The bag is made from strong fabric to keep it light but durable, and features multiple compartments for organising your packing. The interior is fully lined to protect your belongings and for a touch of sophistication. The central locking trolley system has push button release, and the interlocking zips are securely fastened with a TSA combination padlock.